Squish, connect and create with Bunchems! They stick to each other and build like no other. They stick and stay then pull apart for endless play! The Bug Creation Pack includes 60 pieces and 11 accessories to build a fuzzy ladybug, a daring dragonfly, or a slippery snail! Your imagination will run wild with Bunchems! And clean up is a breeze; they stick to each other with magical ease! The Bunchems Bug Creation Pack is for ages 4+. No batteries required. Squish, connect and create with Bunchems! The colorful little balls that stickto each other and build like no other. The Bug Creation Pack allows you tobuild 1 of 3 amazing 3D bug creations! 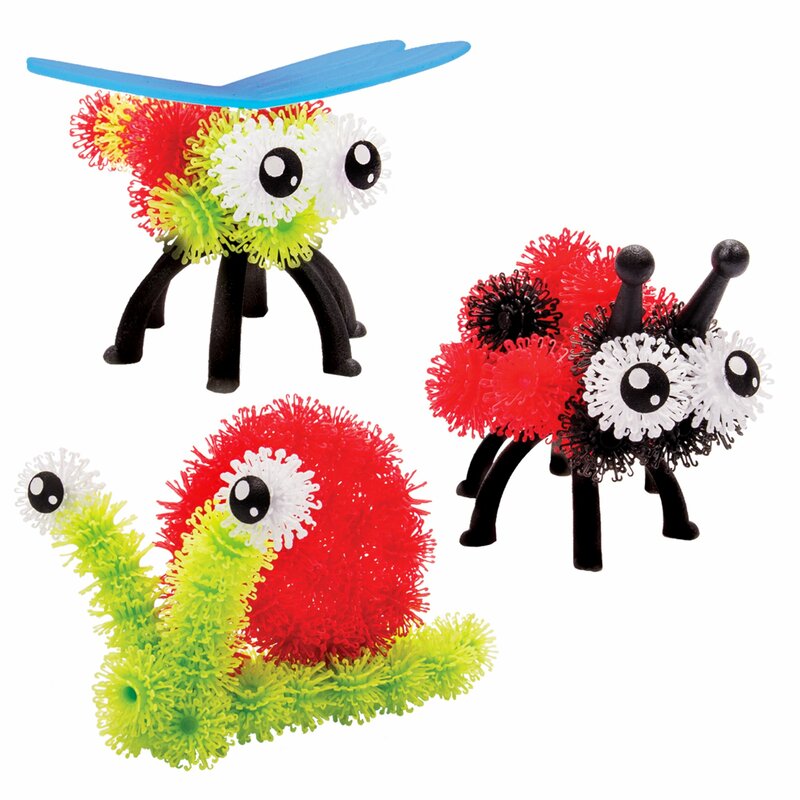 Use 60 Bunchems to build a fuzzyladybug, a daring dragonfly or slippery snail! Bring your creations to lifeusing the included eyes and legs accessories, then take them apart and re-build them as anything you want! The possibilities are endless with Bunchems.They stick and stay and then pull apart for endless play. Your imaginationwill run wild with Bunchems. And clean up is a breeze; they pick themselves upwith magical ease. Squish 'em, connect 'em and create 'em, the anything'ems,it's Bunchems!